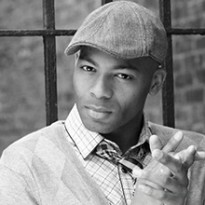 Tony Award Nominee Brandon Victor Dixon, having just recently finished creating the role of Berry Gordy in Motown The Musical on Broadway, is delighted to make his West End debut in Kander and Ebb’s The Scottsboro Boys. A Presidential Scholar Semi-finalist and scholarship winner at the British Academy of Dramatic Acting in Oxford, Brandon is a graduate of Columbia University and a recipient of the University’s I.A.L Diamond Award for Achievement in the Arts, which is an honor he shares with Tony Kushner (Angels in America), Jeanine Tesori (Caroline, or Change) and Katori Hall (Mountaintop). In the past two years, Brandon has spent his time performing in new pieces such as Indomitable: James Brown (The Music, The Man) a concert piece on the life of James Brown developed in conjuction with Patricia McGregor (Hurt Village) and Burnt Sugar: The Arkestra Chamber, and performing in concerts and benefits with fellow artists such as Jennifer Hudson, Nathan Lane, Wynton Marsalis, Chita Rivera, Liza Minnelli, Matthew Broderick, David Hyde Pierce, Tony winner Levi Kreis, Three-time Tony Nominee Kelli O’hara, The Voice’s Frenchie Davis, and American Idol’s Ace Young. His company, WalkRunFly Productions, which he began with Motown choreographer Warren Adams, just recently co-produced Of Mice and Men on Broadway starring James Franco, and Hedwig and the Angry Inch starring Neil Patrick Harris for which they won a Tony Award. Forthcoming projects include Part of the Plan featuring the Music of Dan Fogelberg, and Unchain My Heart: The Ray Charles Musical. Other Credits include: ABC’s One Life To Live, Law & Order Criminal Intent, and ABC’s The Good Wife. Originally from Gaithersburg, Maryland, Brandon currently resides in New York City and sends love and thanks to his family and friends.